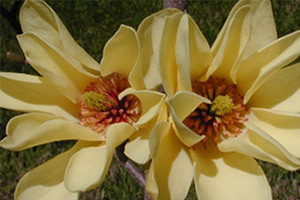 Come explore the fascinating world of Magnolias with us! Membership begins at $30, and all materials are delivered electronically via email. For only $40, you can receive everything in printed form, including a subscription to our twice-yearly full-color journal. Join today by filling out the form below or by printing and mailing this form. a) Regular Membership - $40.00 (USD) Bundle (unlimited) Subscription period: 1 year No automatically recurring payments Journal and Annual Meeting materials always mailed. Newsletter can be electronic or postal mail (member choice). Members and their guests can attend annual meeting at the member rate. b) Electronic Membership - $30.00 (USD) Subscription period: 1 year No automatically recurring payments Journal, Newsletter and Annual Meeting materials delivered electronically (via email). One member can register for annual meeting at member rate. c) Contributing Membership - $75.00 (USD) Bundle (unlimited) Subscription period: 1 year No automatically recurring payments All benefits of a Regular Membership and includes a $35 contribution to Magnolia Society International. Thank you for your support! d) Sustaining Membership - $100.00 (USD) Bundle (unlimited) Subscription period: 1 year No automatically recurring payments All the benefits of Regular Membership and includes a $60 contribution to Magnolia Society International. To thank you for your support members at this level will be recognized in our Newsletter. e) Sponsor Membership - $150.00 (USD) Bundle (unlimited) Subscription period: 1 year No automatically recurring payments Same benefits as Sustaining membership with the addition of a 1/4 page advertisement in 2 issues of Magnolia Journal.